There’s something undeniably attractive about a well-placed water feature. Why are these features so amazing anyway? 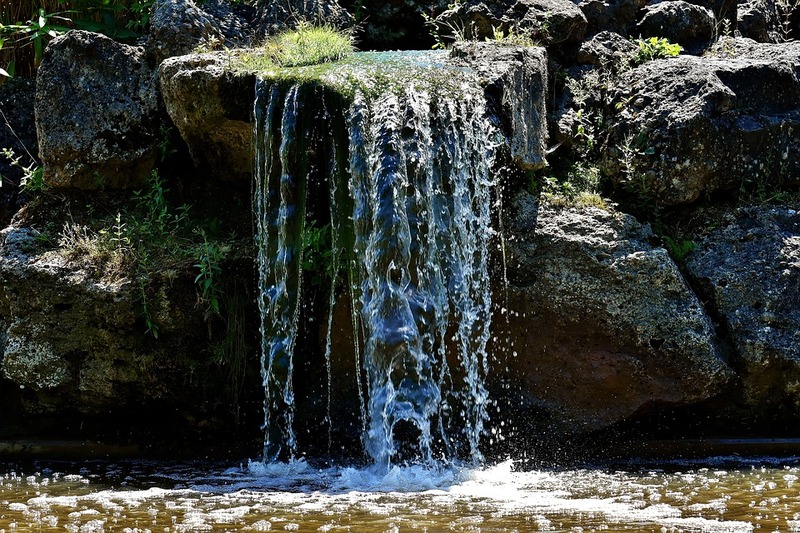 Here are 8 reasons that a water feature is a great addition to any property. Far more than just running water, these features add tremendous value to any space. We have a primal, elemental connection with water that is universal. It is a connection shared by people from all walks of life, young and old, rich and poor. A tasteful water feature uplifts your landscape into a whole new dimension of beauty. The effect is self-evident. In an urban setting, it brings a captivating sense of nature into the area. Whether your property is residential or commercial, a good water feature translates into a higher asking price when it comes time to sell. Ask us about current trends with a wide appeal to add the most value. In this way, you can ensure a better return on your investment. Features which are more eccentric, or locked into a very specific taste, don’t guarantee the same returns. Few people realise that a big motivator for people who install water features is that these features drown out ambient noise. Aquazoi designs and supplies water features for installation in and around Johannesburg. Jozi residents have a high amount of unwanted noise. Ask us how a tiered or pouring water feature solution can provide relaxing ambient sounds. Visitors to your property will love being in proximity to your water feature – an added bonus to every visit. We supply fountain jets and led lighting for water features that create a gorgeous focal point. In dry areas or spaces, the running water actually makes the air more humid and easily breathable. Johannesburg residents deal with high levels of stress. Anything that counters anxiety is helpful and desirable. And water features undoubtedly are a soothing and relaxing addition to any space. We design modern water features to suit any space, be it indoor or outdoor. When it comes to dreaming up ideas, the sky is the limit! Why not let us help you bring your imagination to life, and let your creativity run wild? We can ground your dreams for that perfect water feature in reality, and help you execute your ideas with skill and excellence. Today’s water features are designed to run with recycled water and run indefinitely with low maintenance. There are also solar-powered options so that your pump is off the grid. With all the benefits that a water feature can bring, and with less heavy labour, you will be able to ask not what you can do for your water feature. Rather, ask what your water feature can do for you. Contact Aquazoi today to set up your space for success.